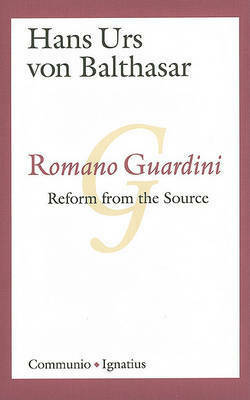 Romano Guardini (1885-1968) was one of the greatest Catholic minds of the twentieth century. He helped shape Catholic theology between the two world wars and after, as well as the thinking of many non-Catholics of the period. His influence contributed to the reforms of the Second Vatican Council and it continues to be felt through Pope Benedict, who, as a theologian, a cardinal and now as Pope, has drawn extensively on Guardini for inspiration. Indeed, Guardini was a major theological mentor of Benedict XVI, influencing the Pope from his understanding of Jesus to his writings on the sacred Liturgy, from his view of faith to his perspective on the modern world. 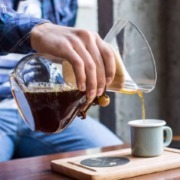 Romano Guardini: Reform from the Source, written by another great theological mind, Hans urs von Balthasar, presents a kind of roadmap to Guardini's thought. As an introduction to Guardini, von Balthasar's study is intended to challenge readers to take up Guardini's own writings and to find in him the wisdom that has inspired so many others. Many of Guardini's influential works are still in print today, works that cover a wide range of important spiritual, theological and moral issues.